Etching travertine stone with Zido is our first step to bring your surface to that fresh level. This process removes all the stains and sheen while opening its pores. Notice the image shown in the left, we have sealed the top travertine with a clear resin sealer, creating a hydrophobic surface to prevent an acid from etching the stone. However, the bottom stone is retaining the acid that causes etching issue. Applying regular products to polish travertine only delivers a sheen to the stone, which will etch again when acidic drinks are spilled on the surface. Travertine stone polishing to the next level. After we etch the stone and apply a clear resin sealer – Celine, we polish the surface with the same product. While polishing travertine, the clear resin coating is also polished to a sanitized level. Once we apply Celine to your stone, it will never etch. Our artists deliver the best travertine polishing service in Atlanta. Polishing travertine floors to that mirror lush finish is just second nature to our Atlanta artists. Acidic cleaners etch the stone, which can look new again, if restored by D'Sapone® experts. Maintaining the polished travertine is not a tough job now. Our Valore maintenance cleaner designed by pFOkUS® sanitizes the surface and adds a light coat of sealer to the polished stone. It is very easy to use. Travertine polishing service in Atlanta. Atlanta, we will assign your estimate to one of our stone polishing experts, who will complete the entire process. Just simply fill out our online estimate form and send us the pictures of your damaged areas. And we will take care of your needs. 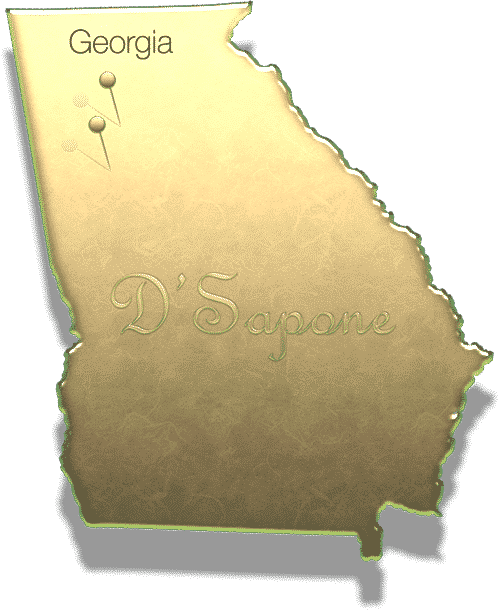 Does D'Sapone® warranty their work? We offer a 5 year service warranty on all of our healthy shower and floor systems. Do your products come with a manufacture warranty? Yes, pFOkUS® offers a 10 year warranty on all of their products with the “Healthy Care Kit” protection.” This kit includes the maintenance cleaner and sealer – Valore to protect your surface. Will Celine make my floor slippery? Once we polish travertine stone, the surface will become slippery with water on the floor. Will Celine change the look of my stone? It will enhance darker stones and will not change the look on lighter stones. How long will it take for the stone to dry? Once we deliver our travertine polishing service in Atlanta, you can walk on the floor within 4 hours and use counter-tops in 6 hours. The sealer itself will dry in 30 minutes, but there is a cure time. D'Sapone®’s patented travertine polishing service in Atlanta is state of the art.